Németh Ilona presents her project "Eastern Sugar" at Santopalato. SANTOPALATO brings together the works of 23 different artists and designers, featuring projects that examine the impact food systems have on culture, the environment and the economy. SANTOPALATO, or holy palate, highlights the ways that food goes beyond the plate. 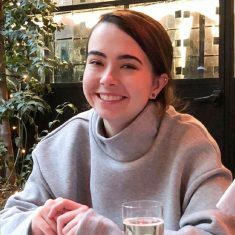 The politics of eating touch financial, environmental, social, and ethical concerns, all of which are connected to the ingredients that end up on the table. Isaac Monte’s Meat Project first debuted at Dutch Design Week 2015. 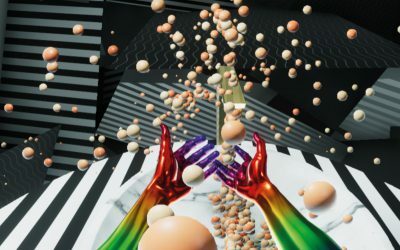 The exhibition is split between two locations in Budapest, Hungary, with projects showing at Stúdió Galéria from June 30 – June 1, and May 30 – July 31 at the Korean Cultural Center. 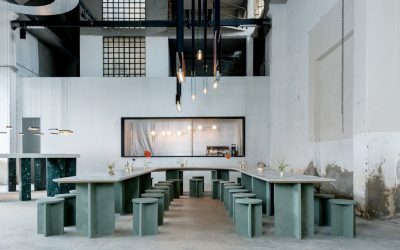 Each SANTOPALATO venue addresses a different aspect of contemporary food systems, exploring how eating and agricultural practices might develop over the next few decades. 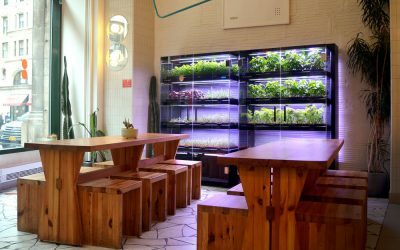 The presentations on view at Stúdió Galéria adddress the ecological and technological side of food, analyzing how it’s grown and the environmental systems that produce it. Projects at the Korean Cultural Center investigate the relationship between food and cultural identity, posing questions about how food can connect generations of people and carry on cultural traditions. In an effort to raise awareness about meat consumption and prompt greater recognition of the value of animal cultures, creative duo Marie Caye and Arvid Jense are presenting “The Pigstrument” (above) at Stúdió Galéria. 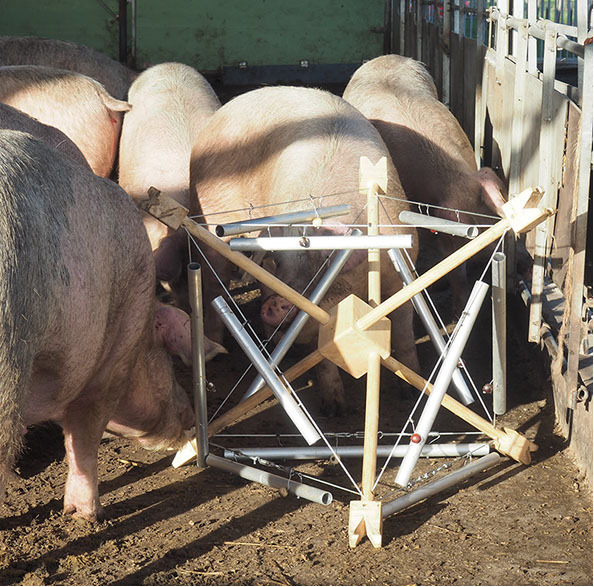 Part research tool, part musical instrument, the Pigstrument is designed to help develop a better understanding of pigs’ appreciation of sound and music. Caye and Jense theorize that animal cultures may also display an affinity for assemblages of sounds and aesthetic qualities in music. 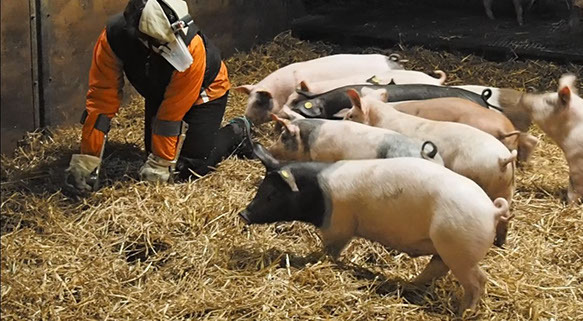 Through the development of a “pig suit,” a suit that allows you to emulate a pig’s social activity, they closely observed how pigs perceive the world through their senses. Using data gathered with their pig suit, they created the Pigstrument, a musical instrument designed for pigs. The Pigstrument holds meaning beyond just producing music, it also makes an important statement about meat consumption. Caye and Jense point out that while pigs are often perceived as objects for food, they are dynamic, living creatures with their own preferences. 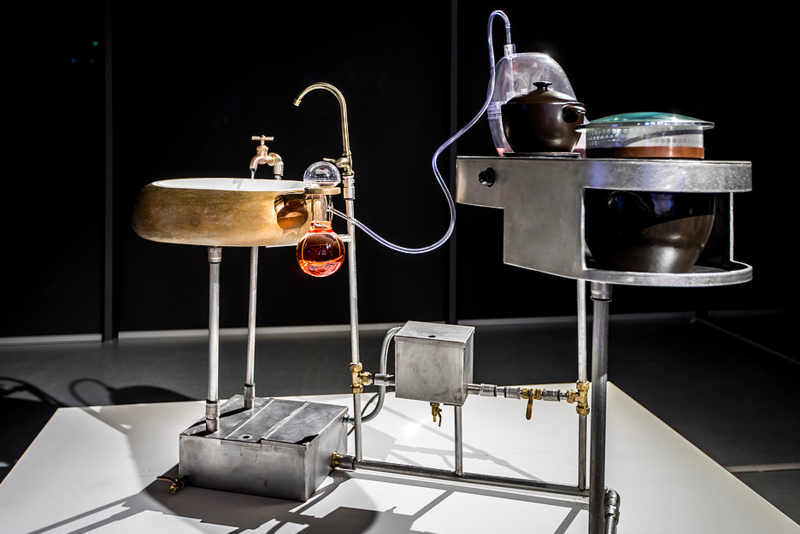 Caye and Jense, graduates of Design Academy Eindhoven, were also finalists in the inaugural Future Food Design Award hosted by the Dutch Institute for Food Design. 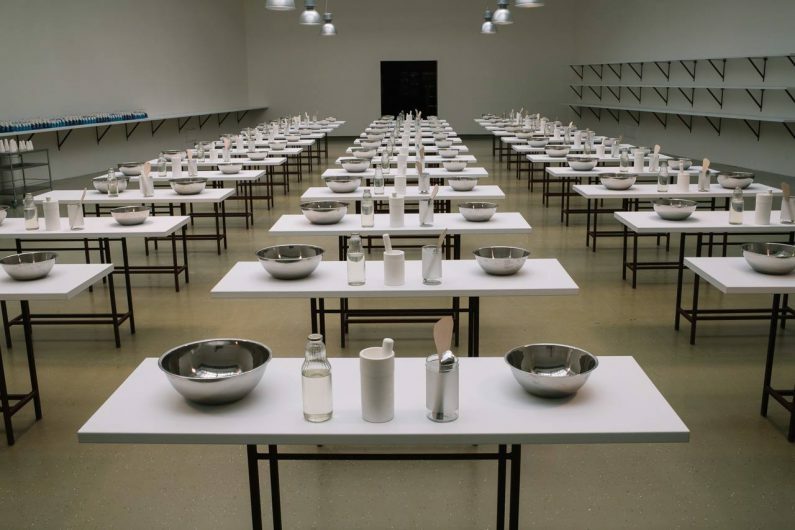 Jiwon Woo’s presentation “Mother’s Hand Taste” at the Korean Cultural Center focuses on the social implications of food systems, looking at how cultural culinary traditions might be passed down through generations, even if food technologies are changing. Woo notes that everyone’s hands are home to a distinctive combination of fungi. 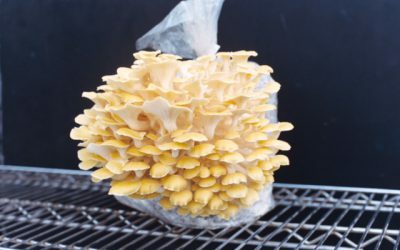 When we cook, some of our “hand fungi” inevitably becomes part of the food. While these organisms are so microscopic that we can’t consciously discern them, Woo theorizes that these subtle changes are the small differences that make some food seem special. This is where he draws his project’s title from – people often note that no one can make certain dishes like their mothers or grandmothers, which may be due to the “hand taste” we are accustomed to with our mother’s food. It is thus the microbiology of our hands, coupled with the cultural tradition of making recipes for the generations below us, that builds a specific flavor unique to each family’s food. Szabolc Barakonyi documents his travels in a frozen food truck. Among the Hungarian artists featured at SANTOPALATO is Szabolcs Barakonyi, most well known for his documentary photographic series, Tell Your Mommy, Bring Some Money!. This photo series follows Barakonyi’s travels through Hungary, as he drove a truck selling frozen foods for more than 5000 kilometers through Budapest’s suburbs one summer. 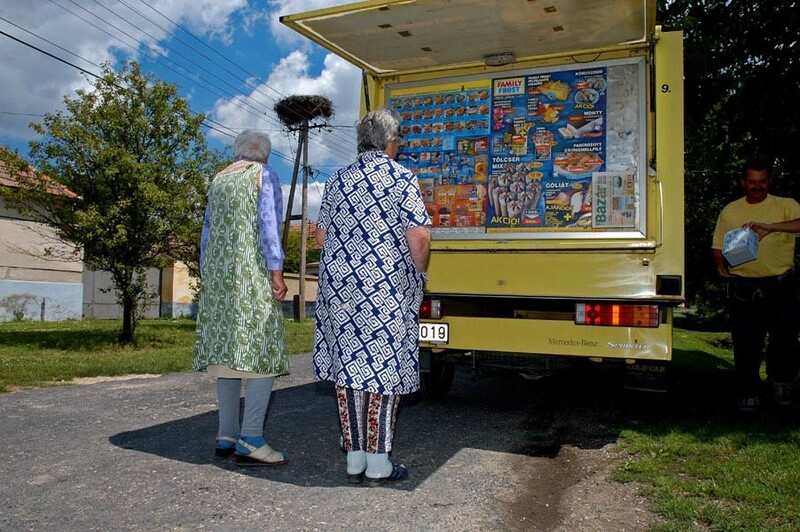 Although purchasing frozen foods from traveling trucks is common in rural Hungary, Barakonyi recognized that this common practice is an important social event, and his photographs bring out the details of this unassuming, but significant, communal gathering. 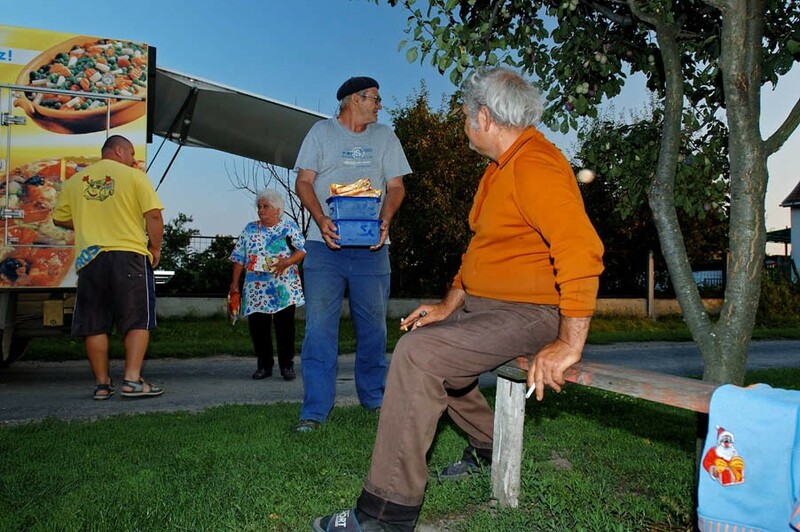 People buy frozen foods from Barakonyi’s traveling frozen food truck in the suburbs of Budapest. Barakonyi’s work also presents a rural Hungarian life to the global public, acting as an anthropological documentation of their food practices. The photo series also sparks an important conversation about the development of modern agricultural practices, as the distance between food sources and people widens. 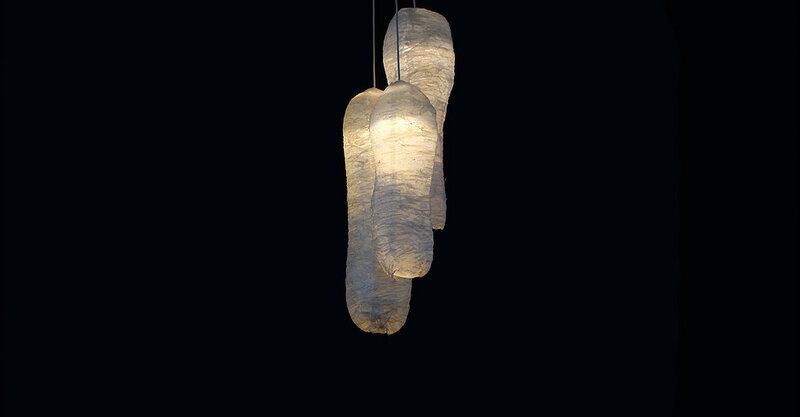 SANTOPALATO is on view through July 31s at the Korean Cultural Center and June 30th at Stúdió Galéria.